Mānuka Honey originates in Australia and New-Zealand. Manuka Honey has anti-inflammatory, antiviral, and antioxidant properties make it a perfect ingredient for wound dressing. Being monofloral honey, it is cheap and very useful in daily life for health and wellness remedies. It is produced from the Manuka flowers that blooms just for about 2 to 6 weeks each year. Like any other type of honey, it is pollinated by bees. Manuka Honey is sold worldwide as natural medicine for healing various ailments. As a sweetener, you can find Manuka Honey in your local Walmart store or online. The anti-bacterial property of Manuka Honey stands it aside from any other type of Honey. Due to the presence of hydrogen peroxide and methylglyoxal, Manuka honey has anti-bacterial properties. Manuka Honey has its own unit to determine antibacterial strength. The UMF, or Unique Manuka Factor, given by Honey Research Unit of the University of Waikato, New Zealand. It is important to note that hydrogen peroxide is present in all honey, which gives all honey antibacterial property. But, methylglyoxal in Manuka honey boost its anti-bacterial properties. With the UMF in between 10 to 20 Manuka honey can also be used to ease heartburn, indigestion, and diarrhea. Methylglyoxal is produced in Manuka Honey by conversion of dihydroxyacetone. Nectar of Manuka bush Leptospermum scopariumcontains rich amount of dihydroxyacetone. Antibacterial property of Manuka honey results in faster wound healing. Manuka Honey was officially approved by FDA in 2007 for healing wounds. It can help you treat burns, boils, surgical incision sites, traumatic wounds, pressure ulcers, diabetic foot ulcers and sloughy wound. Researches have shown its benefits in wound healing, as well as its positive effect on tissue regeneration. It multiplies your immunity, promotes anti-inflammatory activity and helps to reduce pain. Manuka honey dressing clears the infection and protects the wound from bacteria. Manuka Honey when used in wound dressings eliminate strong odors from wounds. Regularly application of Manuka honey reduces permanent scarring. Infected wounds can be easily treated with sterilized, laboratory-tested honey wound dressings. 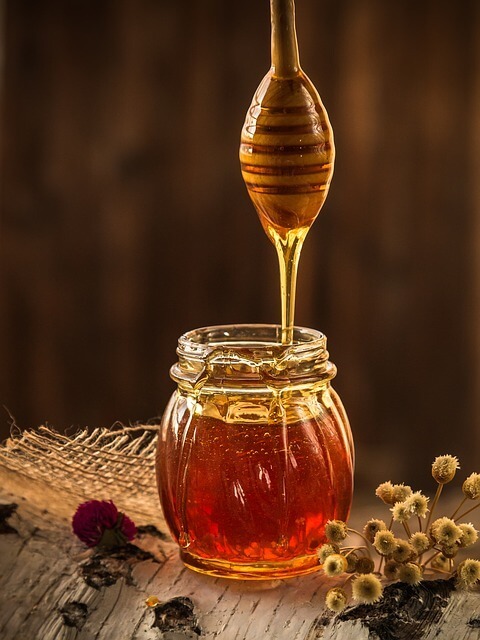 Manuka Honey dressings are available in various forms such as gel, paste, ointment, honey-impregnated tulle, gel sheets and honey-impregnated calcium alginate. Medihoney dressings which provides a moist, occlusive environment that is conducive to optimal wound healing are best for management of wounds and burns. Manuka honey dressings can be used on chronic or acute wounds and can form an important component of wound bed preparation. Honey dressings such as Medline TheraHoney Wound Gel promotes natural autolytic debridement and is ideal for difficult to dress wounds. It removes necrotic tissue and creates a moist wound bed, while eliminating bad wound odor due to presence of 100% Manuka medical grade honey. Wounds such as a foot or leg ulcer, burns, and surgical wounds benefit from Manuka honey paste dressings. Manuka honey paste dressings are effective in treating wounds that release wound fluid. Moderate to heavy exudate wounds benefit from dressings such as calcium alginate dressings with active Manuka (leptospurmum) honey. Aside from being a useful medicine in wounds, it might help you in other day-to-day life. As any ordinary honey, it can be used in various places. Here are few of its advantages. Keep your gums healthy: Chewing honey after your 2 main meals, reportedly keep your gums and teeth clean. One study showed reduction of plaque and periodontitis in people who chewed honey. Antibacterial effects of Manuka honey help fight cavities, tooth decay and minimizes bad oral bacteria. Relief from sore throat: Manuka Honey also helps in a sore throat. The Antiviral honey helps you lower the burn and act as a painkiller. You can also use it as a mouth odor remover. Improve your digestion system: Manuka Honey decreases the symptoms of IBS or Irritable bowel syndrome. IBS symptoms like constipation, diarrhea, and abdominal pain can be treated by regular consumption of Manuka honey. Manuka honey effectively helps prevent gastric ulcers. Acne Remover: You can use Manuka honey as your face pack to help you get rid of that stubborn acne and scars. The antibacterial property of Manuka honey keeps your skin clean and clear. That means you can try Manuka honey to treat your acne. Help Treat cystic fibrosis: According to a research, Manuka honey can play an important role in treating upper respiratory infections in people suffering from cystic fibrosis. Manuka Honey is multi-purpose medicine and is best to treat your wounds. Keep in mind that people who are allergic to honey should NOT use it. Diabetes patients should consult with their health care provider before using honey as it can affect their blood sugar level. Disclaimer: The article is solely for informational purposes. It cannot be used for the purpose of diagnosis or treatment of any medical conditions. The content is not meant to be used as a substitute for advice from a certified medical professional.